White rice* refers to rice which has its hull, bran and germ removed. Since the bran contains small amount of oil that can turn rancid, rice are polished to prolong its shelf life. However, this process also strips the rice of essential nutrients. And because brown rice​​** has its bran and germ intact, it is considered as a whole grain and hence has a higher nutrition value. *Polished rice will be known as white rice in the article. **Unpolished rice will be known as brown rice in the article. There is a variety of brown rice​ available in the market. The type an​d amount of colour pigments (anthocyanins) in the rice bran determines the colour of the rice. 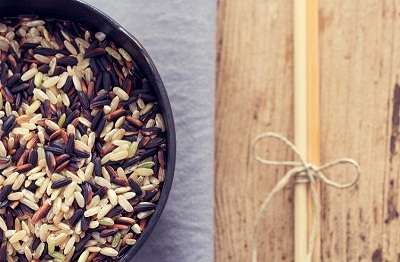 Similarly, the amount and type of aromatic compounds and fatty acids in different varieties of brown rice determines its unique flavour and aroma. Generally, brown rice has a nutty flavour and a chewy texture when cooked. Brown Rice refers to rice that is unpolished where only the hull is removed but the germ and bran are retained. It contains almost five times the fibre and 2 times the iron of white rice. Red Rice contains a variety of anthocyanins that give its bran a red/maroon colour. Compared to brown rice, it contains similar amount of fibre but twice the amount of iron and 6 times the amount of zinc. It requires less soaking and cooking time as compared to brown rice (Table 1). Black Rice has a black coloured bran layer due to its unique anthocyanin combination and these anthocyanins cause black rice to turn into a deep purple colour when cooked. Compared to brown rice, it contains about three times the amount of fibre and requires less cooking time (Table 1). Its variants include purple rice (forbidden rice) and Indonesian black rice. Wild Rice is not a true rice, but the grain from a wild-growing and grain-producing grass that is native to North America. Compared to brown rice, it contains similar amount of fibre but twice the amount of zinc and eight times the amount of vitamin E. Wild rice requires the most water, soaking and cooking time among other rice type (Table 1). Both white and brown rice contain similar amounts of energy, carbohydrates and protein. However, brown rice contains higher amount of vitamins and minerals. The bran of brown rice not only increases the fibre content but also contains a variety of colour pigments that may be beneficial for health. Given that different variety of brown rice contains different amount of nutrients and colour pigments, it may be a good idea to include a variety of them in your diet. This way, you can also enjoy a variety of flavour and texture too! Consuming a diet rich in whole grains​, such as brown rice, is beneficial to health as it may lower the risk of heart disease, diabetes and certain cancer. It can also help in weight management. Other than brown rice, wholegrain food also includes brown rice beehoon, wholemeal crackers and wholemeal bread. Due to the higher demand for white rice, it is produced at a larger economic scale compared to brown rice. This makes brown rice seemed as a premium product and hence making it more costly. Brown rice, due to its small amount of oil in the bran layer, has a shorter shelf life compared to white rice. This makes brown rice more costly as more resources are needed to preserve the quality of brown rice during transportation and storage. However, if there is increased demand for brown rice, it is anticipated that the price of brown rice will fall. As with white rice, brown rice comes in short, medium and long grain. Long grain tends to be more light and fluffy as well as separate when cooked. On the other hand, medium and short grains tend to cling together and are more chew​y and tender when cooked. Chose the type that best suits your preference. Store all uncooked brown rice in pest proof containers with lids. Uncooked brown rice can be stored at room temperature for up to 6 months. To prolong the shelf life of brown rice, you can store it in an airtight container in the refrigerator. In all circumstances, make use the first-in-first-out rule to ensure good turnover and maximum freshness. Never store cooked rice at room temperature as toxins can form easily in such condition. If you plan to store cooked rice for later use, cool freshly cooked rice within an hour after cooking. You can divide large quantity of rice into smaller portions to reduce the cooling time. 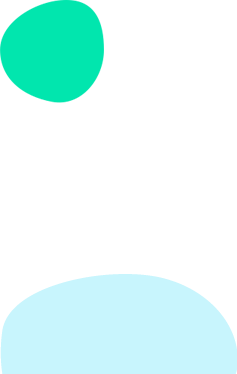 Once cooled, rice should be stored in a covered container in the fridge below 8 C.
Do not keep cooked rice for longer than two days and do not reheat it more than once. Refrigerated rice must be reheated until it is piping hot. Many of us are familiar with the concept of cooking white rice. Cooking brown rice is similar, with the extra step of soaking the rice prior to cooking. You may use Table 1 as a reference or follow the cooking instructions on the rice package when cooking brown rice. As a rule of thumb, the more water you use for cooking, the softer the rice. You can also choose to use a brown rice friendly rice cooker because these rice cookers indicate the specific amount of water needed to cook brown rice. Follow the directions on the rice cooker to yield the best results. Although brown rice requires pre-soaking, more water and longer cooking time as compared to polished rice, it is higher in vitamins, minerals and fibre due to its intact bran and germ. Brown rice is a type of whole-grain. Consuming a diet rich in whole-grains is beneficial to health as it may lower the risk of heart disease, diabetes and certain cancer. It can also help in weight management​. Include different types of brown rice in your diet to enjoy a variety of flavour and texture as well as benefit from its varied nutrient profile. <div class="ExternalClass2B605AE071E547CDA190B738B95D8194"><h1>What is Brown Rice? <em>*Polished rice will be known as white rice in the article. <strong>Brown Rice</strong> refers to rice that is unpolished where only the hull is removed but the germ and bran are retained. It contains almost five times the fibre and 2 times the iron of white rice. <strong>Red Rice</strong> contains a variety of anthocyanins that give its bran a red/maroon colour. Compared to brown rice, it contains similar amount of fibre but twice the amount of iron and 6 times the amount of zinc. It requires less soaking and cooking time as compared to brown rice (Table 1). <strong>Black Rice</strong> has a black coloured bran layer due to its unique anthocyanin combination and these anthocyanins cause black rice to turn into a deep purple colour when cooked. Compared to brown rice, it contains about three times the amount of fibre and requires less cooking time (Table 1). Its variants include purple rice (forbidden rice) and Indonesian black rice. <strong>Purple Rice (Forbidden Rice)</strong> is a short grain variant of black rice. It is purple in its uncooked state and deep purple when cooked. It contains similar amount of fibre but almost twice the iron and four times the zinc content of brown rice. </h2><p>Both white and brown rice contain similar amounts of energy, carbohydrates and protein. However, brown rice contains higher amount of vitamins and minerals. The bran of brown rice not only increases the fibre content but also contains a variety of colour pigments that may be beneficial for health. Given that different variety of brown rice contains different amount of nutrients and colour pigments, it may be a good idea to include a variety of them in your diet. This way, you can also enjoy a variety of flavour and texture too! <strong>Selection</strong></p><p>As with white rice, brown rice comes in short, medium and long grain. Long grain tends to be more light and fluffy as well as separate when cooked. On the other hand, medium and short grains tend to cling together and are more chew​y and tender when cooked. Chose the type that best suits your preference. <strong>Uncooked</strong></p></li></ul><p>Store all uncooked brown rice in pest proof containers with lids. Uncooked brown rice can be stored at room temperature for up to 6 months. To prolong the shelf life of brown rice, you can store it in an airtight container in the refrigerator. In all circumstances, make use the first-in-first-out rule to ensure good turnover and maximum freshness. </p><p>You can also choose to use a brown rice friendly rice cooker because these rice cookers indicate the specific amount of water needed to cook brown rice. Follow the directions on the rice cooker to yield the best results. </h2><ul><li>Although brown rice requires pre-soaking, more water and longer cooking time as compared to polished rice, it is higher in vitamins, minerals and fibre due to its intact bran and germ. <a href="http&#58;//www.healthhub.sg/live-healthy/408/Healthy%20Weight%20Loss"><span style="color&#58;#0000ff;">weight management​</span></a>.</li><li>Include different types of brown rice in your diet to enjoy a variety of flavour and texture as well as benefit from its varied nutrient profile. <div class="ExternalClass0DA56DFCE3B2484CBB2D8A0A3DF3410C">Established in 2001, the Health Promotion Board (HPB) has a vision to build a nation of healthy people.